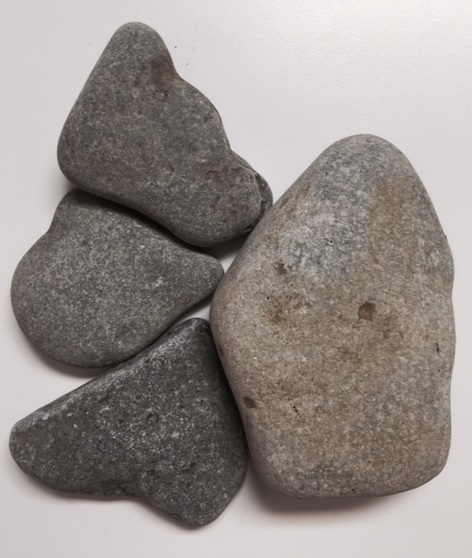 Recently I went for a walk beside Lake Ontario along a beach made up entirely of water-smoothed stones. I picked up a few, thinking I’d like to try painting on them. When I got home later that day I put them on the counter. To my surprise, a pattern emerged. The random bits fit together, like pieces in a puzzle. It was one of those AHA moments. I realised my life had been feeling like that earlier this year. A lot like those stones jumbled up in my pocket, Nothing seemed to fit any longer. Roadblocks. Unexpected endings. No clear path. Then, over the course of a few days, it started piecing itself back together. A pattern is emerging and it’s surprising me because it doesn’t look like anything I expected. Here’s what those rocks told me. Keep going. Don’t force order onto things when you’re still in the gathering phase. And let go of the outcome because it probably won’t look anything like I thought it would. That’s part of the process. Trust and relax.